Featuring access to an outdoor pool, a fitness centre and a barbecue area, Weekenders is a self-contained one-bedroom apartment just a 10-minute walk from Crown Casino Perth. Guests enjoy free WiFi. 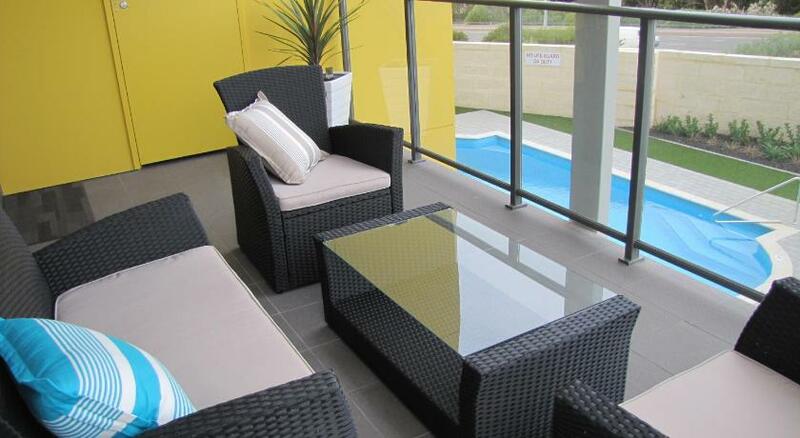 The apartment is a 5-minute drive from Perth City and the WACA. It is a 10-minute drive from Perth Domestic Airport and Perth Concert Hall. Guests can relax on their private balcony and enjoy pool views.There is a fully equipped kitchen, a flat-screen TV, iPod Dock, laundry facilities and a bathroom with a bathrobe.